Ride with Me: On the Road with the Newest 2018 Honda Jazz VX! I love to drive! And though I’m no car expert, I’ve had my fair share of various types of cars throughout the road trips that I have done abroad — aside from driving my own car a few years back. Now that I’m residing back here in the Philippines, I’m on the lookout for the next car that I will be owning next after selling my old car before. Nevertheless, I’m still on the fence with this since it’s possible that I will leave the country again for a while — but still, if I were to envision the next sweet ride that I’d have that’s an affordable and no-fuss option, it will be the newest 2018 Honda Jazz VX! I say this because I had the amazing chance to drive this around Manila during last year’s Christmas week, and boy… I had so much fun with it! 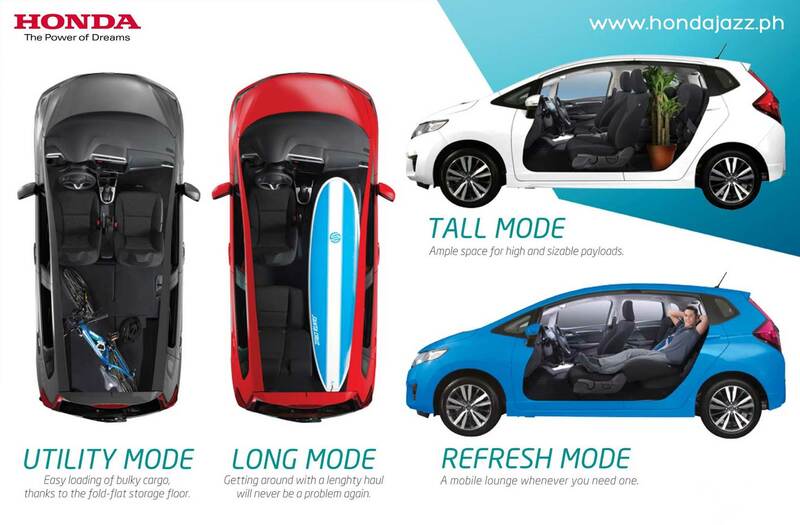 The Honda Jazz is arguably the best sub-compact car from Honda today and with its newest variant that’s released just last year, it comes with a redesigned look as well as some other exciting features that will fit every Filipino’s needs. Now of course, though I have grand dreams of owning a luxurious sports car (lol, a girl can dream of course! ), I do need to be practical for now and the way I see it, the 2018 Honda Jazz VX is perfect for my current needs! Besides, it’s not too big, yet not too small whilst packing a lot of power and efficiency that doesn’t sacrifice its ‘looks’. In fact, this ride has a sporty exterior to boot! To give you guys a brief preview of how I made full use of the 2018 Honda Jazz VX that was lent to me, you can watch my ‘vlogmas’ video below! ﻿ To date, the following are the colors for the 2018 Honda Jazz variants as well as its price details. Modern Steel Metallic (Available in 1.5 RS Navi and 1.5 VX Navi CVT variants) — this is the color of the car that I drove in the video above. For more info, you can go to Honda’s Jazz page, or you can also visit the Honda nearest dealership in your area. » Why I love the 2018 Honda Jazz VX? I’m obviously not well-adept with all the technicalities and jargon for properly reviewing a car — BUT, what I do have is an on-hands experience as a normal ‘consumer’! It’s a perfectly-sized car that is so smooth to drive: I gotta be honest, it looked small to me at first, but once I was inside, I knew I was dead wrong! The front and back certainly had enough legroom, headroom and elbowroom — that it was more than enough to fit in my family (there’s five of us in total). And when it comes to driving, I was impressed at how the noise and vibration from the outside was kept to a minimum; not to mention that the front window had a wide driving visibility. I also loved the fact that the steering was smooth yet firm! By the way, it’s no news that a lot of the streets in Manila are cramped and thanks to the reasonable size of this Honda Jazz car, it was a breeze to maneuver through the tight roads that I encountered. Power side mirrors that can be adjusted from the inside and which could be controlled to both fold instantly (great for parking). LED daytime running lights for convenience. Cruise control which is great for driving through highways. A 7-inch touchscreen display that has Bluetooth hands-free connectivity, AM/FM radio, navigation, voice command, multiview reverse camera, Wi-Fi (yes, it can connect to an internet connection!) and HDMI connectivity. I never had a hard time either in connecting my phone with this ‘infotainment’ screen — which is a typical problem that I encounter when I rent cars. Shift driving and shift through gears if anyone wants to deviate from the automatic ride. It’s no pushover with its sporty exterior: It may be a compact car but it certainly has a sporty look that looks fresh and stylish for people of all ages! I absolutely loved how the small details and weaves that they put on the car’s exterior to make it look like it is now. It can store more stuff than you’ll think: Another amazing feature that they introduced to me about this car is its ULTR (Utility, Long, Tall, Refresh) function seats. 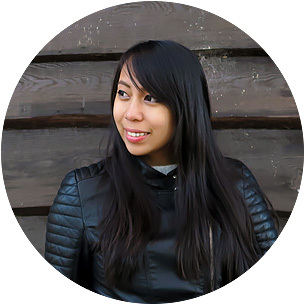 So if you’re stowing away big cargo (let’s say, a Balikbayan box, a surfboard, a bicycle, etc. ), the 2018 Honda Jazz can answer to your call. As shown in the photo above, stow down all of the back row, fold up a back seat (to store tall objects) or even transform the front seats into an instant mobile lounge! It’s fuel-efficient — guaranteed: The Honda Jazz VX comes with an ECON (Economy) button that activates a mode wherein it will manage your transmission and even your air-conditioning in order to save up on fuel. I used this mode a lot during the drives I did and for all the 13 days that I had this car (with a long road trip to Tagaytay included), I only refuelled once — imagine that! Mind you, even though it’s an “economy” mode, I could easily overtake slower cars on the highway with relative ease. For 1.5 RS Navi CVT: Has additional Side Airbags and Side Curtain Airbags. » Is the 2018 Honda Jazz worth it? Absolutely. Like I’ve said, I’ve been looking for cars lately and after I had my fun with this 2018 Honda Jazz, it’s now high up on my list for good value cars that are not only of good build but also of good driving experience. Besides, it’s the perfect size for me whenever I need to go on those well-needed road trips with friends or when I’m out and about having some fun with my family! Honda has a great reputation for years now, I for one would know that even if I’m not a huge aficionado — and seeing this new model that they have, I can see how it maintained its signature convenience and efficiency. So if I were you, if you’re looking for a car to invest in — or maybe if you just want to find the perfect car to rent — the 2018 Honda Jazz VX should be high up in your list too! What do you think of the 2018 Honda Jazz VX? Or do you own this car? How is it?